How to delete RECYCLER folder from external hard disk without affecting the other files? To delete the Recycler without affecting other files, simply right click the Recycle Bin on your desktop and go to Properties. 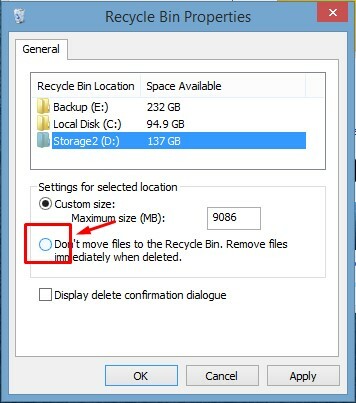 Click the partitions of the external drive and then simply use the option to avoid storing files in Recycle Bin (aka Recycler), but remember that those files will be deleted permanently. Not happening. After doing this, it is showing Folder Access Denied. Password of Sony External Hard Disk Drive HD-E1.